Malachite Small Votive Candle is rated 3.7 out of 5 by 3. 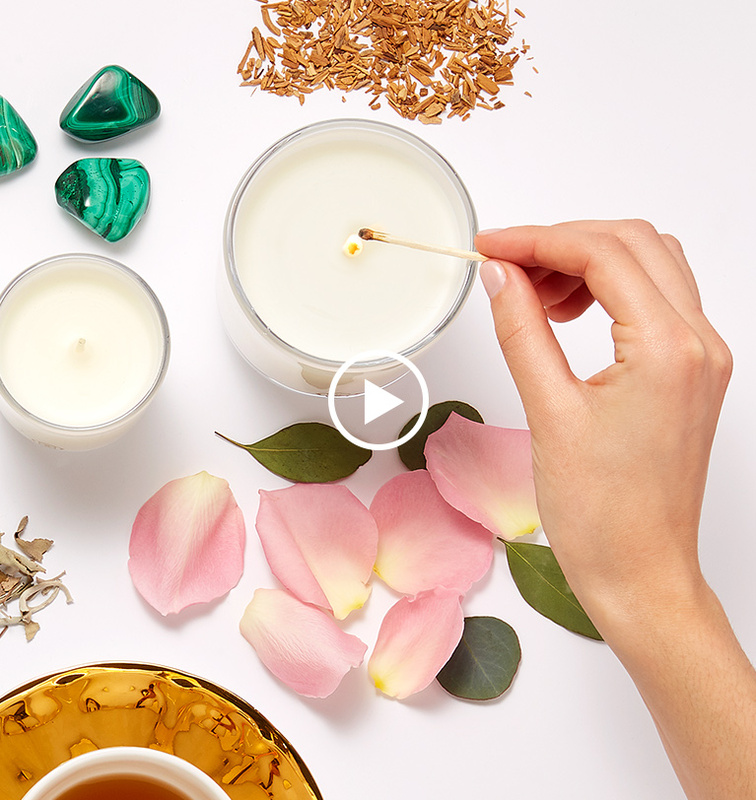 Woodsy green ivy balanced with notes of exotic frankincense and warm amber create a sultry, captivating aroma. Create depth for your living room or library with this sultry 3oz votive. Rated 1 out of 5 by Lynn from Malachite Candles I purchased 2 of the Kendra Scott Malachite candles. In the store they smelt wonderful. I got home and they had absolutely no smell while burning. I was very disappointed. They were $65.00 each. It was a big waste of my money. I have purchased several pieces of jewelry for my daughter. And the jewelry is fine but the candles are horrible. I paid about $145 for just wax. Rated 5 out of 5 by MBLaville from tied for my favorite I typically lean more towards masculine candles and this has a nice balance of light airy scent but also masculine, cozy scents. Burns well and the scent carries nicely throughout my open living/dining/kitchen areas. Rated 5 out of 5 by Jackie77 from Love This Candle! I bought one of each candle & I love them! The candle itself is beautiful, like a piece of jewelry and the smell is perfect!